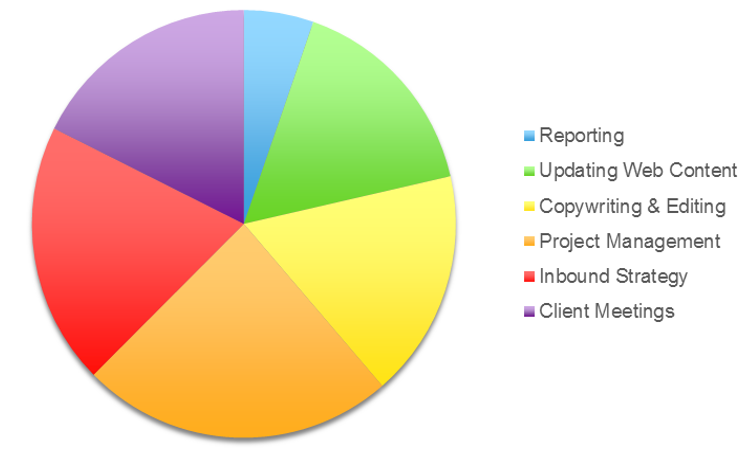 Inbound Marketing Consultants: What Do They Do All Day? Have you ever found yourself wondering that? In a previous job, I had a co-worker who seemed especially skilled at looking busy while really doing nothing at all. Even though he looked productive, after a whole day of “work,” he hadn’t really accomplished anything. Maybe you’ve had a similar feeling about an agency’s inbound marketing consultant. 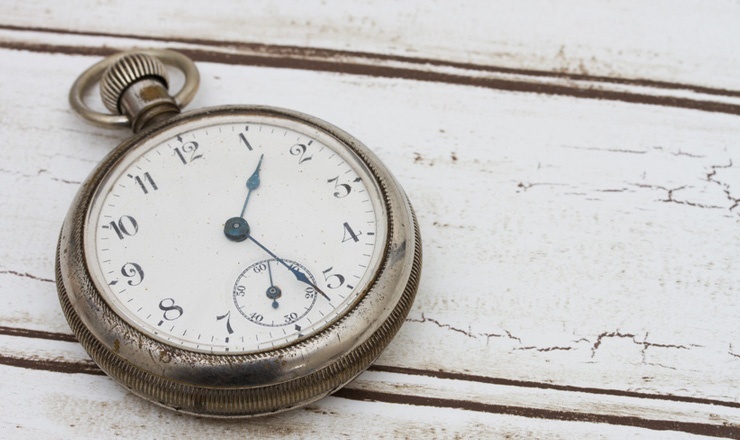 You’ve heard it takes a minimum of 40 hours a month to do inbound correctly. 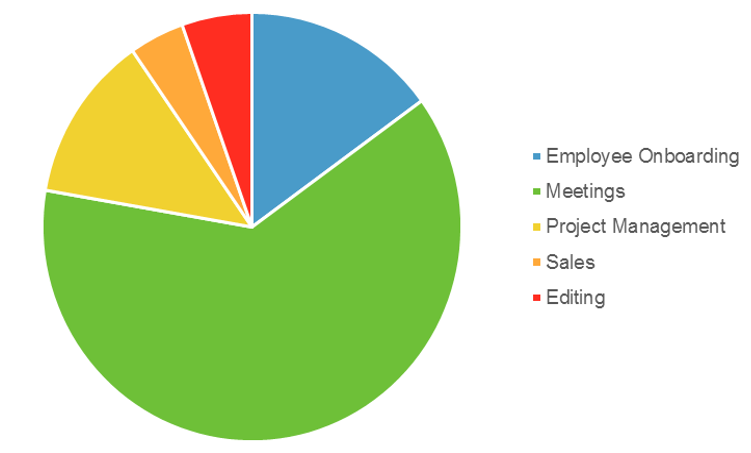 But have you ever wondered what exactly an inbound marketing consultant does in those 40 hours? Well, today is your lucky day—we’re sharing exactly how one of our inbound marketing consultants, Henry, spends his time managing a client’s inbound marketing each month. A writer, who handles most of the content creation. A designer, who creates custom graphics as needed for the client’s website, landing pages, offers, and blog posts. A web developer, who custom designs parts of the client’s website, adds special elements and functionality to web pages, landing pages, and blogs, and sometimes connects a client’s internal software program to the marketing automation software we use. And, last but not least, an inbound marketing consultant, the “brains of the operation” who keeps everything running smoothly and strategizes how to optimize the client’s success with inbound. So, even though there are several other team members who contribute to a client’s success, in this article, we’re going to focus on how the consultant—in this case, Henry—spends his time each month. As you can see, the bulk of his time—79%, in fact—was spent in four areas. The other two areas make up the remaining 21%. Here’s an explanation of each of these categories. Discuss their analytics (how much traffic is coming to their website and where it’s coming from, what parts of their website are receiving the most traffic, what blog posts are receiving the most attention and shares, etc.). Share the progress of any specific projects. Discuss anything new that may have happened or may be coming up. Brainstorm how the team can optimize their inbound results. Often, the account writer will also join the meeting in order to interview the client for article or offer content. Search engine optimization (SEO) projects. Content calendar creation and management. This was Henry’s second-most-time-consuming component in March. But it’s important to note that a majority of our client’s inbound marketing was already underway by that time. This component is actually the most time-consuming responsibility in an inbound client’s first month. An important part of inbound marketing is having a strategy for search engine optimization (SEO). When relevant keywords are put into search engines (like Google, Bing, or Yahoo), clarity and focus within the content (among a few other things) contribute to how well a web page will rank. At Nectafy, we want to make sure all of our clients’ website content is intentionally written, based on the topics and keywords each client wants to (and should try to) rank for. So, when a new client is beginning inbound marketing, our inbound marketing consultants do a big keyword research project in the first month to learn which keywords the client is currently ranking for, as well as which keywords the client should be trying to rank for. When our clients are putting out high-quality, valuable content using these specific keywords, their target audience is more likely to find their website. Since knowing what keywords to use is highly beneficial to the client, we continually research and tweak the keyword strategy every month. Once we know what keywords the client needs to use, we learn what kinds of challenges the client’s target audience faces and what kinds of questions they ask to try to overcome their challenges. These questions, called buyer questions, show us what topics the client should be writing about in order to be helpful and valuable to their target audience. After buyer questions are established, our inbound consultants create a content calendar showing what content to write, who will write it, when it is due, and what the topics are for the next few months. Each month, they add to that calendar so it stays full and so the writer knows exactly what to write about. Another part of this management is finding guest blogging opportunities for the client. Contributing to another website’s blog helps a client build credibility and gives them the opportunity to reach a new audience. Because of this, our inbound consultants also create and find relevant groups on LinkedIn for their clients and search for other opportunities for their clients to share their expertise. In addition to managing the creation of new content, our consultants figure out how to optimize any content a client published prior to working with us. Another part of our inbound SEO strategy is reviewing any new backlinks to a client’s website. Backlinks are a great thing, because search engines assume that if people are sharing your content, it must be valuable. But it has to be from the right people. If a search engine notices spammy links from an untrustworthy source, it’ll cause your website to rank lower in search results. To ensure our clients have only good, helpful links, we frequently review any new links to the client’s website. Email communication with the client. Project management occupied the lion’s share of Henry’s time in March. In our project management tool, Teamwork, our inbound marketing consultants assign tasks to those working on projects for the client and then work with the project participants and the client to keep the creation, editing, and approval processes moving. In one way, our inbound consultants function like a liaison between the client and other team members, delivering the client’s comments, questions, and wishes to the appropriate people. Some of that may seem kind of administrative, but without it, writers and designers wouldn’t know what their assignments are or when they’re due, and content (a core component of inbound success) may not be completed and published in a timely fashion. Our inbound consultants also analyze a client’s inbound results so they can share them in the weekly progress meetings with the client and make data-based adjustments to the client’s inbound strategy to optimize their results. At Nectafy, there’s a writer on every client’s inbound marketing team. The writer creates most of the client’s content each month and the inbound consultant reviews it to make sure it’s exactly what the client needs. While our inbound consultants may write a piece here or there for a client, most of it is done by the writer. This setup gives the consultant time to focus on both optimizing the client’s strategy and bringing them the most success possible with inbound marketing. Another one of our inbound marketing consultants’ responsibilities is to write “workflow” emails for clients. A workflow is a set of pre-written, pre-scheduled emails that are automatically sent to a list of prospects or leads who have taken a certain action on a website. Workflows are a great way to nurture leads and move them through the sales cycle, so this is a very valuable use of our inbound consultants’ time. Optimizing content according to strategy plans. Adding new offers to the website. Once a client’s strategies are in place, our inbound consultants do their share to execute them. One of their responsibilities is to rewrite and rework content that the client published before working with us. This includes adding more keywords and links to other relevant content on the client’s website as well as updating titles and headers of web pages and articles to make them more relevant and interesting. All of these activities are for search engine optimization. Our consultants also create landing pages and emails within HubSpot, the marketing automation platform we use. Landing pages offer prospects a valuable piece of content in exchange for a little information about themselves (name, email address, company, etc.). These pages need to tell the reader what they’ll get from a particular piece of content and foster a desire in the reader to download this content. So, our inbound consultants create new landing pages for clients and optimize them for better conversion rates. At Nectafy, we use HubSpot for sending emails, so our inbound consultants spend time inputting the workflow emails they’ve written (see #4) into the software. This sounds like it would be quick and easy, but there’s actually a lot involved. They have to create “rules” that tell HubSpot who receives what email and when, how many workflow lists to place someone in, and when to pull someone out of a workflow list (just to name a few tasks). Our inbound consultants also work with the client to establish lead scoring, a way of finding the most high-quality leads out of all a client’s prospects. In lead scoring, prospects are assigned a certain number of points for actions they perform on the client’s website (like downloading an offer, subscribing to an email list, or requesting a consultation). Once they reach a certain number of points, they are considered a marketing-qualified lead (MQL)—a lead that is likely to do business with the client. These scoring rules have to be put into HubSpot and adjusted or tweaked depending on how it’s working. You should never just assume your inbound marketing strategy is working—which is why once a month, our inbound consultants spend time crunching numbers and pulling metrics (utilizing HubSpot’s reporting tool), in order to provide our clients with valuable feedback. Our inbound consultants report on the number of website visits and how many leads were generated each month, breaking both down by the source from which they came (organic, social, email, referrals, direct, paid, etc.) They take a look at the conversion rate from visits to leads and how many of those leads became MQLs that month. They also report on any other data relevant to the client. Some of our clients benefit from receiving more frequent reporting updates, which help them understand on a weekly basis how many MQLs are in the pipeline. For these clients, the inbound consultant is responsible for compiling that data once a week—the data often includes properties such as contact information, the date they became a MQL, lead score, recent conversion, referring site, etc. *As of April 2016, the responsibility of reporting was shifted to a marketing coordinator role, allowing our consultants to spend more time focusing on the aforementioned areas. Client meetings aren’t the only meetings we have. As a fully remote team, having a standing weekly (virtual) meeting is crucial to our success. It allows for employee interaction, team updates, and acts as a sounding board to bounce ideas off one another. Discuss any projects that each employee is working on alongside the inbound consultant. Look at efficiency and key performance indicators (KPIs) once per month. Update on the progress of any personal projects we are working on to strengthen Nectafy’s internal processes. Talk about our skill growth, areas of responsibility, and challenges faced that week. These weekly meetings are a great opportunity for our inbound consultants to get a comprehensive understanding of what is going on within the company, even though our employees may be scattered across the globe. Employee onboarding doesn’t happen every month—in fact, it only happens a handful of times a year. But this March, some of Henry’s time was spent emailing with and interviewing potential candidates and—once the role of inbound marketing coordinator was filled—walking the employee through various onboarding tasks and preparing her for her new role at Nectafy. Just as our inbound consultants handle project management for our clients (see #3 above), they are also responsible for similar responsibilities at Nectafy. This means working with the rest of the team to keep processes moving along and ensuring that our writers and designers know what their assignments are. Before a Nectafy blog article or offer can be published, it must first be sent to an inbound consultant for review and then on to the editor for a final review. So while editing doesn’t take up a huge portion of Henry’s time, it’s a crucial step in our writing process as we ensure that every piece of content is seen by multiple sets of eyes before going live for all the world to see! There you have it—a month in the life of our very own inbound marketing consultant, Henry. What I’ve detailed here is exactly what you can expect when working with an inbound marketing consultant at Nectafy. So what’s my takeaway from all of this? That a lot goes into ensuring that our clients successful in inbound marketing (especially keeping in mind that the consultant is just one part of the team). And, while there are definitely ways you can do inbound marketing on your own (this article is a great resource) the assurance and attention you get from an experienced inbound marketing consultant who is focused on making your company’s inbound efforts successful is well worth the commitment.